Numerous studies have shown that garlic supplementation reduces the accumulation of cholesterol in the walls of arteries. As I have said on numerous occasions this cholesterol deposition is mainly responsible for arterial plaque formation. In other words, it blocks the flow of blood in our blood vessels. Such blocking is responsible for many common and very serious medical conditions. The most significant ones are heart attacks, ischemic strokes, insufficient blood flow to the kidneys (this causes many problems such as hypertension and the accumulation of toxic by products), and insufficient blood flow to lower extremities causing pain when walking, as well as ulcerations that don’t want to heal. Garlic also reduces blood cholesterol levels as well as triglyceride levels (triglycerides are basically “bad” fats). This further strengthens garlic’s role in the prevention of arterial plaque formation. Furthermore as far as blood is concerned, garlic reduces the capability of platelets to aggregate. Platelets are tiny oval structure in our blood. They have a cell membrane but lack normal cell organelles. They are actually cell fragments of a larger cell called a Megakaryocyte (for those scientists among you). Needless to say, they are mainly responsible for blood clotting. The significance of this is that when cholesterol deposits in the walls of arteries it attracts platelets to the site and makes the platelets clump together. This makes the plaque grow in size and contributes to the blocking of an artery. Thus, by inhibiting this clumping, garlic further prevents the formation and/or the growth of arterial plaques. As stated above this helps prevent heart attacks, strokes and so forth. Another important point is that garlic helps regulate blood sugar. As such in helps prevent the development of diabetes and or the complications of diabetes. Diabetes is a disease that accelerates the formation of arterial plaques, leading to the many complication of diabetes. These are all related to arterial plaque formation and the toxic effect of too much sugar in the blood. These complications are practically the same as the ones stated above (kidney problems, heart attacks, strokes, vision problems due to damage to blood vessels in the eye, and problems with lower extremities). By controlling sugar levels, garlic helps prevent all of these conditions. It may also be very helpful once diabetes occurs. Finally (and I absolutely could not leave this out), aged garlic extract has been shown to substantially lower blood pressure, even in patients who were medicated with standard prescription medications, and in which the blood pressure was still uncontrolled. As a side note, hypertension not only causes organ damage, but also contributes in a very significant way to arterial plaque formation. Unrelated directly to heart health, let’s not forget that garlic has a strong bactericidal (i.e. bacterial killing) effect. It’s a powerful antiseptic capable of killing bacteria and some parasites. It has been used effectively in the treatment of infections of the chest, digestive infections, and fungal infections like thrush. It has also been shown effective in the treatment of Cryptosporidia and Toxoplasmosis infections in AIDS patients. 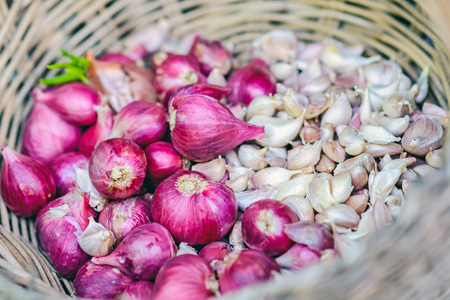 Due to this bacterial killing property, garlic may be especially helpful in HIV patients to help prevent the development of opportunistic infections. Finally (as you can see the list goes on and on), garlic enhances the absorption of the very important vitamin Thiamine and well as boosting Testosterone levels in animal models. This last property, if also effective in humans (which is most likely the case), can be helpful in middle age and elderly men to boost their Testosterone levels in a safe way, while at the same time benefiting with all the amazing health benefits that I stated above. One last word is that Kyolic Aged Garlic Extract is absolutely the best on the market. They are one of the very few companies that produce their garlic from start to finish (what I mean is that they actually grow, harvest, age, encapsulate, label, etc. in their own facilities using the most stringent quality standards). They also invest enormous resources to research studies which continue to show again and again the positive effects of aged garlic extract.